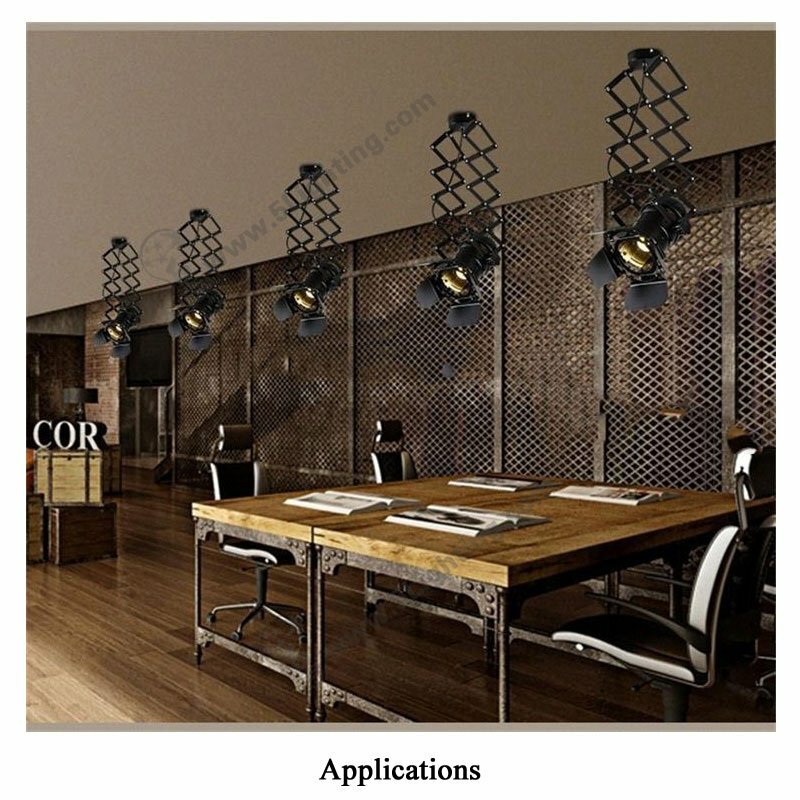 Ceiling track rail lighting accordion pantograph, Retractable LED track lighting expansion bracket design. 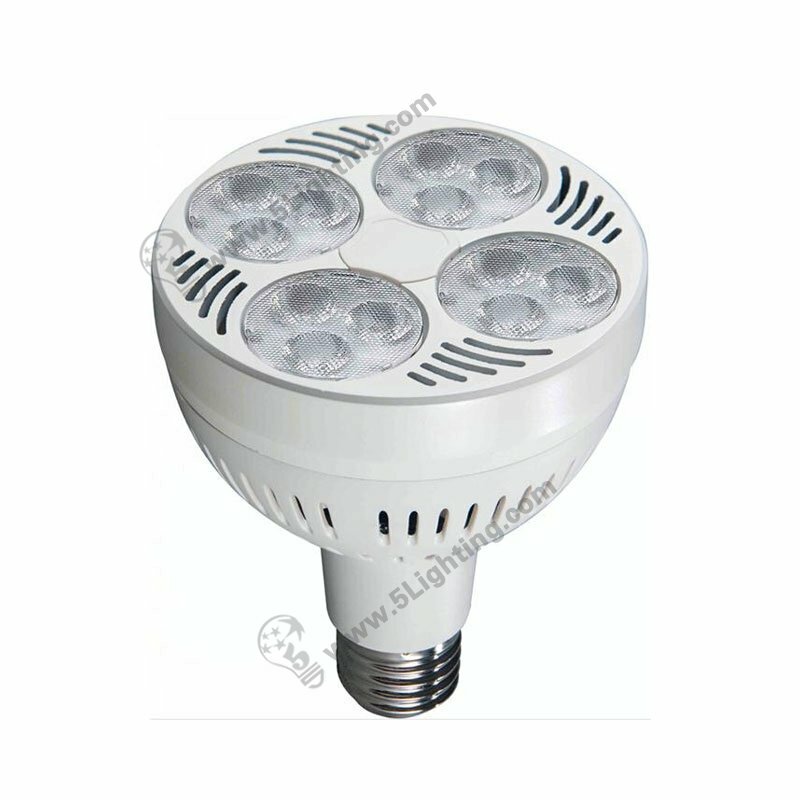 Application: Suitable for Gallery / Art work lighting, also can be used in stage decoration lighting applications. 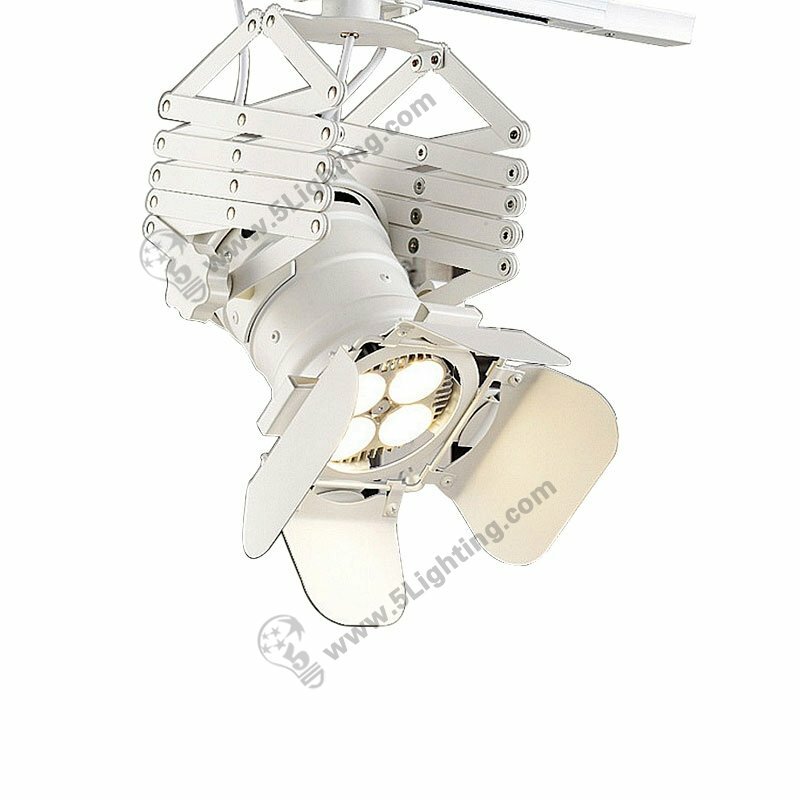 h): This ceiling track rail lighting accordion pantograph offers all the benefits of LED technology, no UV / IR radiation, 50,000 hours life at 70% luminous flux, maintenance free applications and a considerable reduction in energy consumption over traditional light sources such as halogen lights. 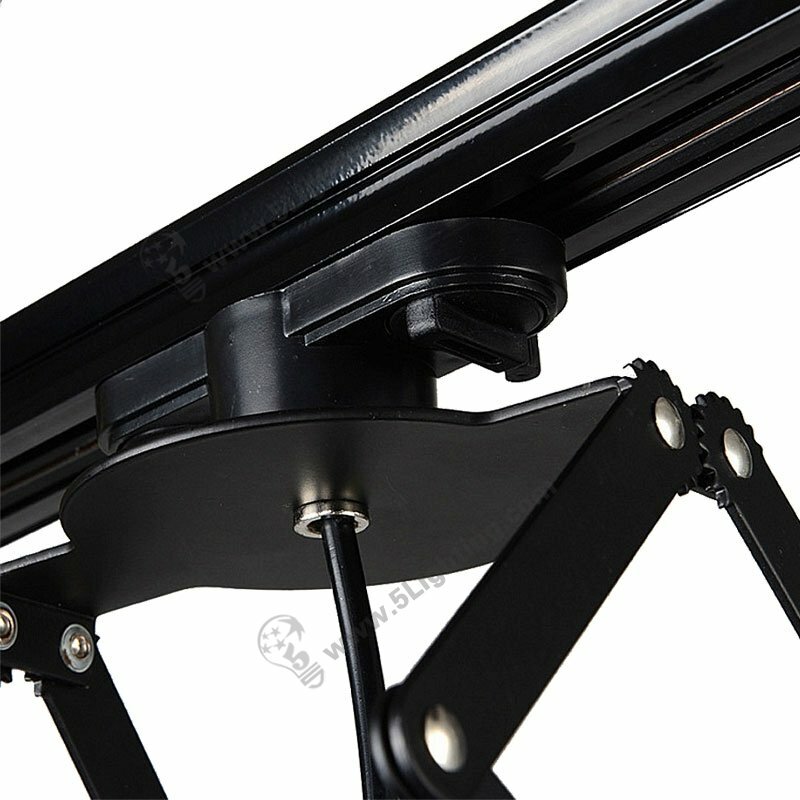 Wholesale this ceiling track rail lighting accordion pantograph with unique retractable structure design that much easier to control, totally meet customers’ necessary of light’s height adjustment, this retractable track lighting has been widely used in different kinds of indoor decoration applications, like: studio / Art work decoration, or museum display scenes. Other applicable scenes: Stage lighting, Art Work lighting, Basement lighting, Bar / Pub lighting and others. 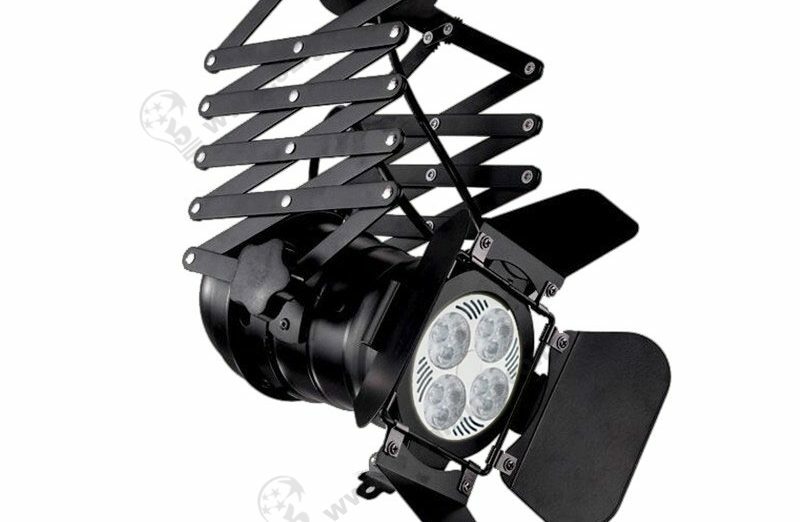 Great quality ceiling track rail lighting accordion pantograph from 5 Star Lighting Factory! 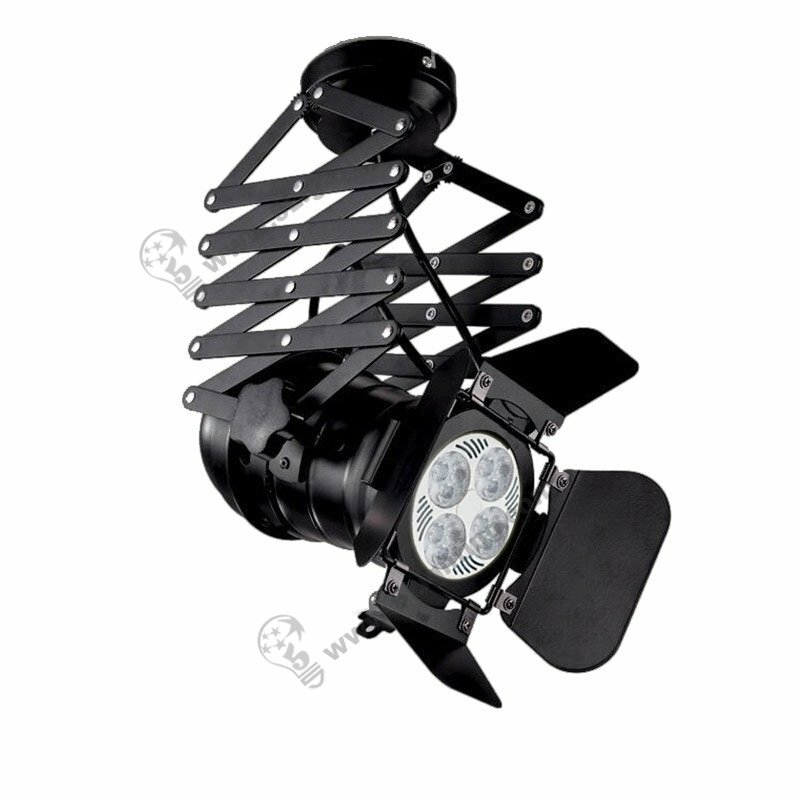 Ceiling track rail lighting accordion pantograph, 30W, PAR30 Spotlight, Retractable LED track lighting expansion bracket design. Applications: Suitable for galleries, high end retail applications, also can be used in stage decoration lighting applications. Don’t you want a special lighting to decorate your STUDIO? Lighting your Gallery? Creative shaped RETRACTABLE LED Lighting, wildly popular!